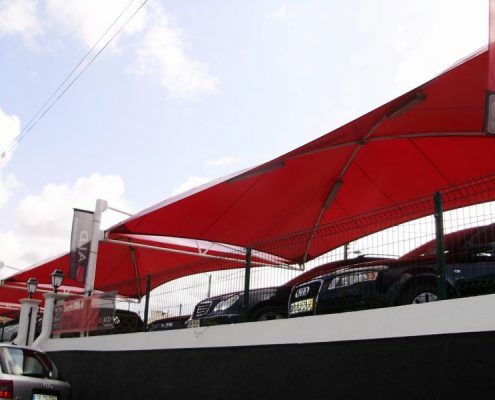 Innovative textile architecture for multiple applications with modern designs. 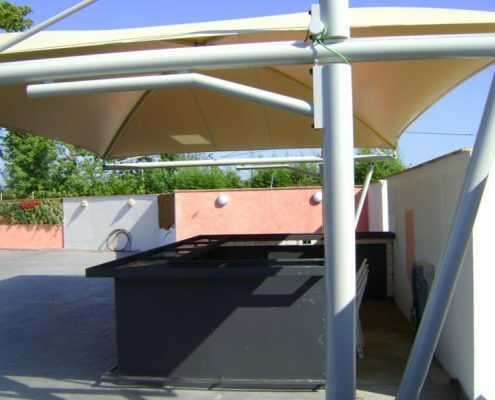 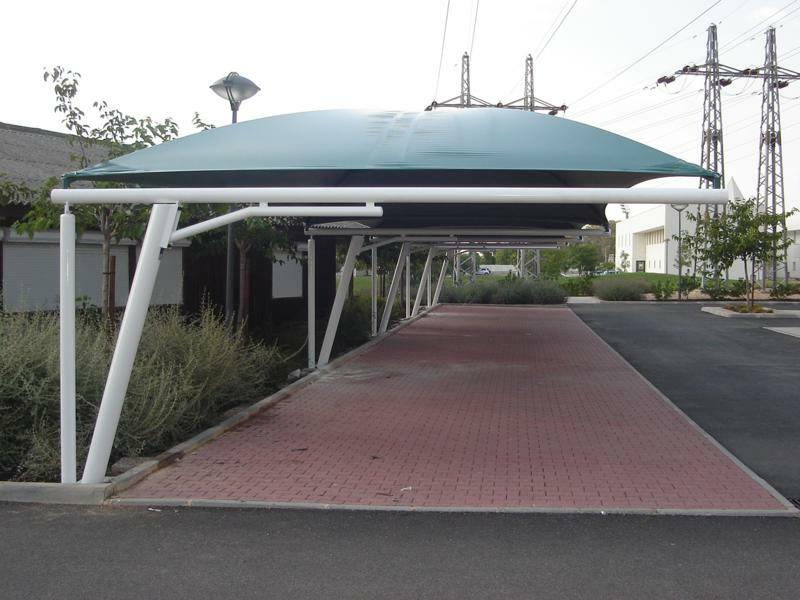 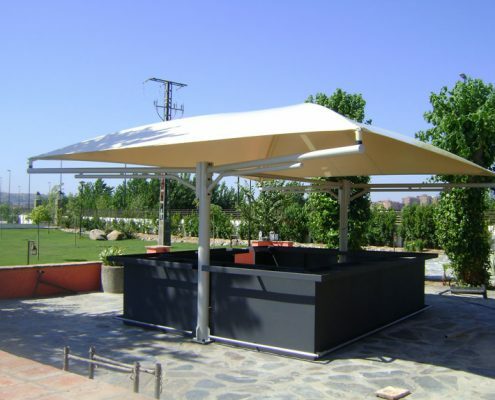 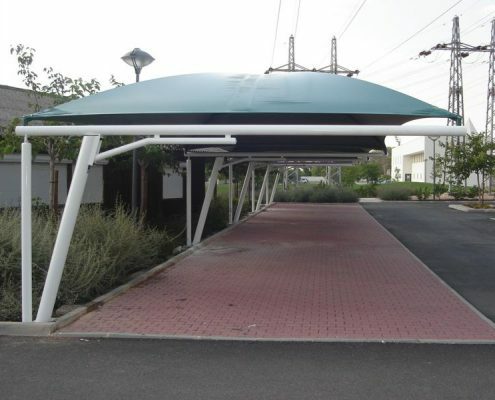 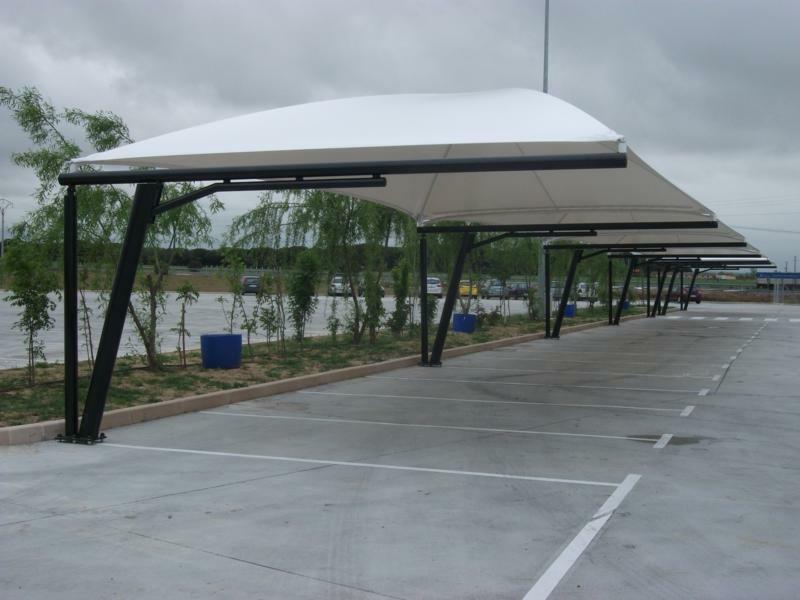 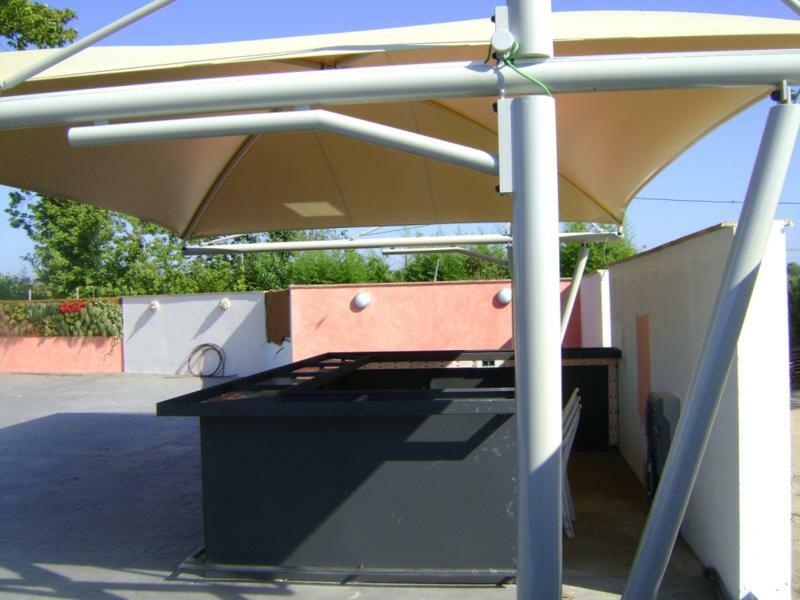 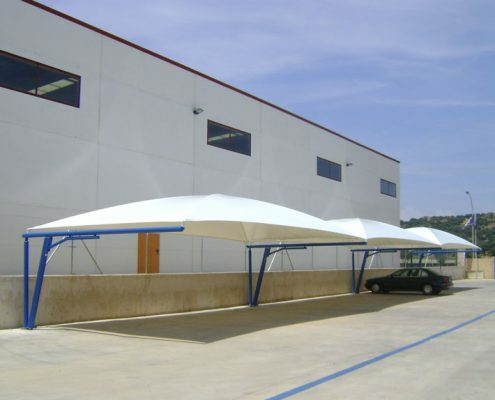 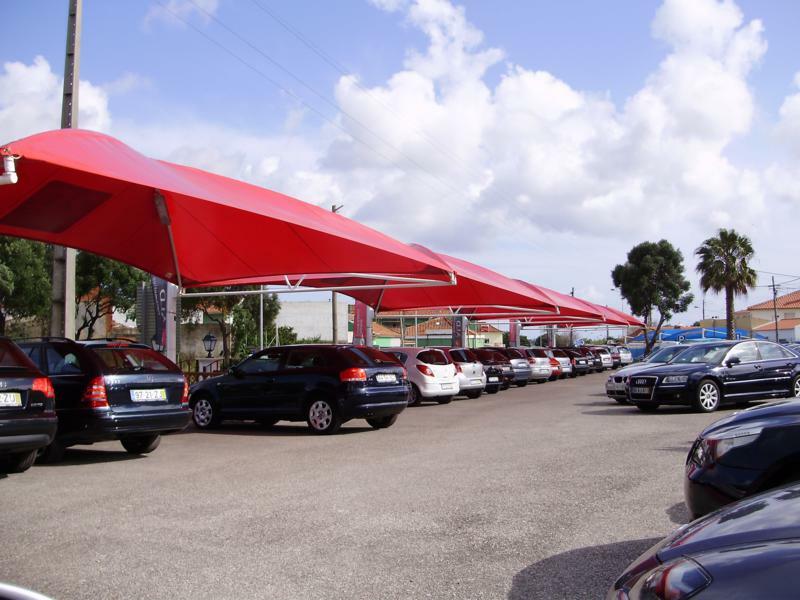 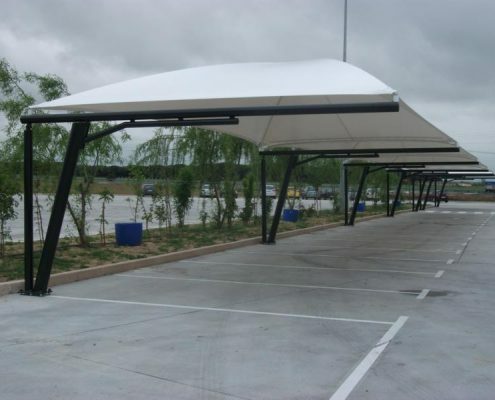 Textile canopies that guarantees a perfect esthetic harmony without neglecting safety and quality materials. 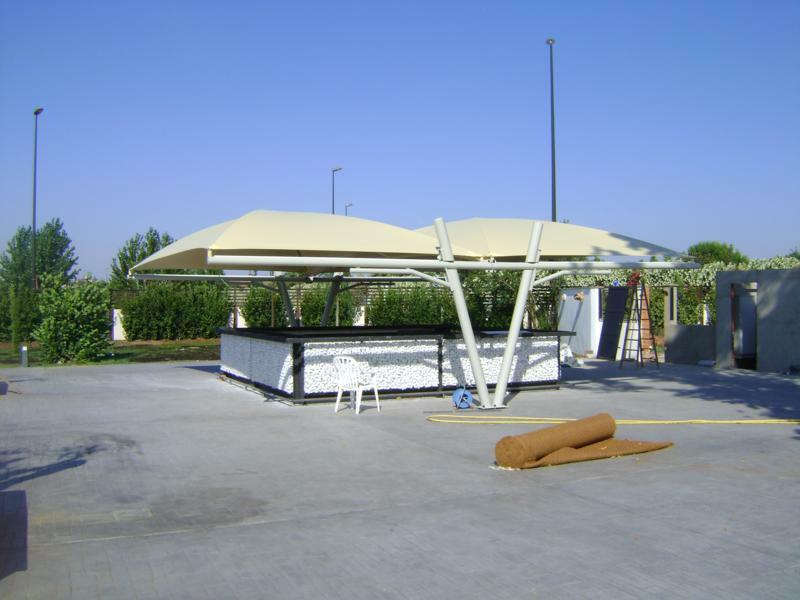 We have been manufacturing metal structures and shelters for more than 20 years. 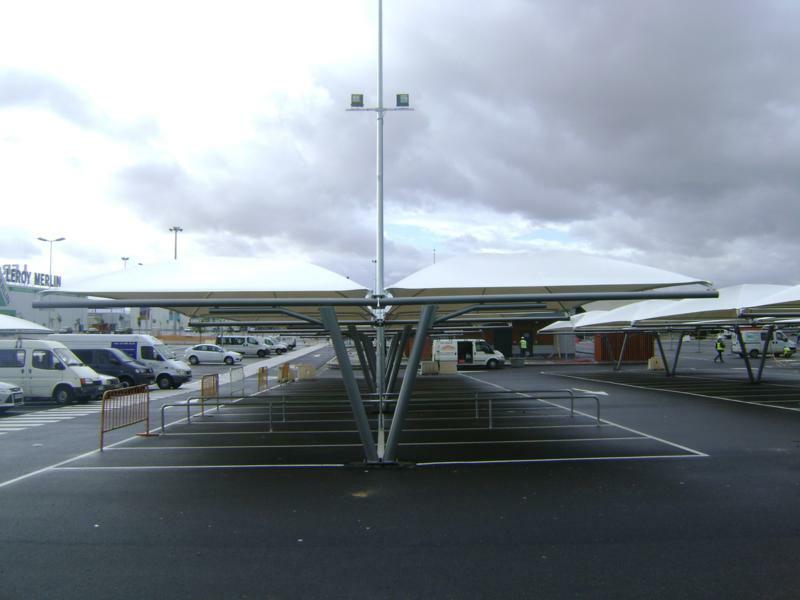 Over 200,000 m2 of covering have been installed. These new textile canopies are attached to the modular structures adapted to the geometry of the place. 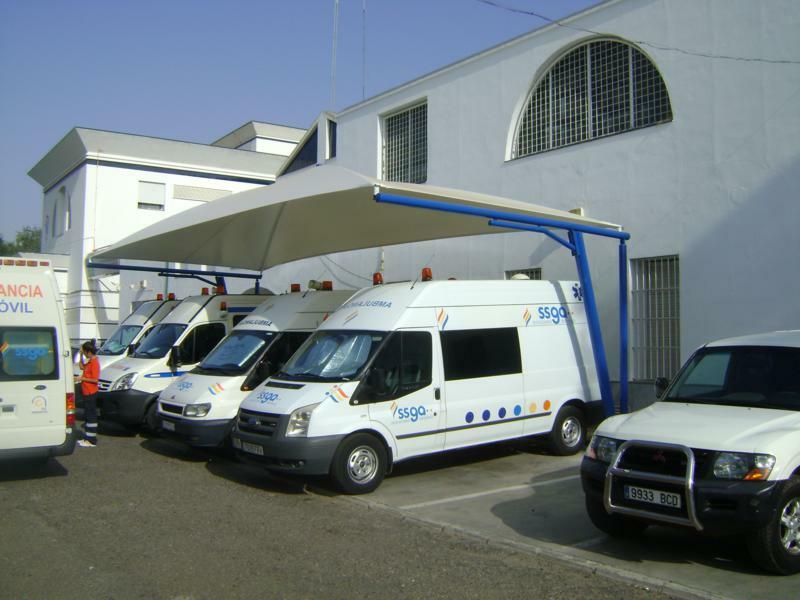 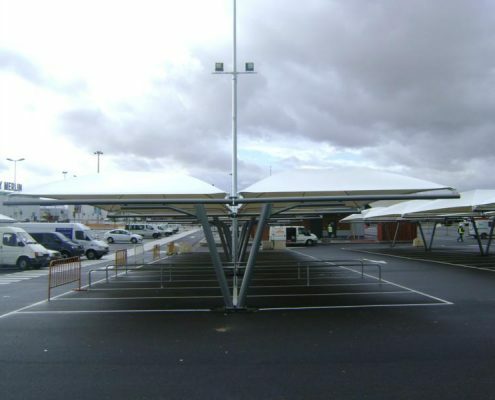 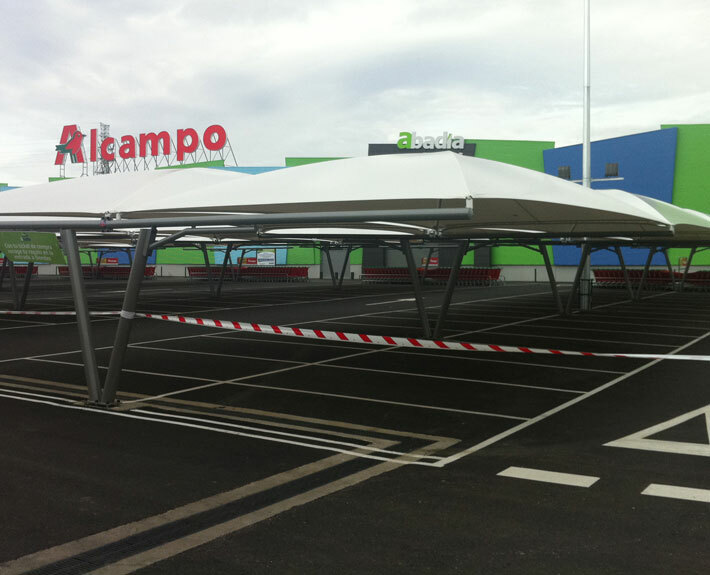 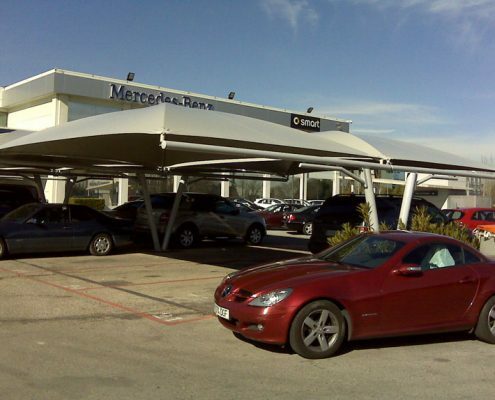 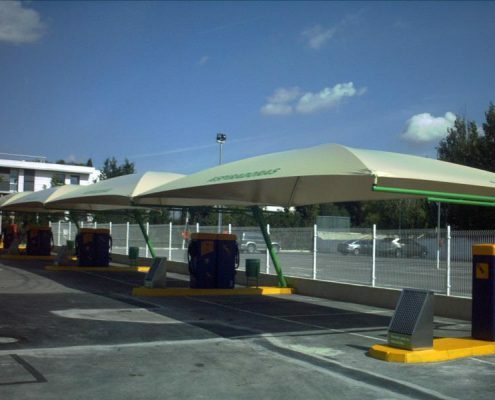 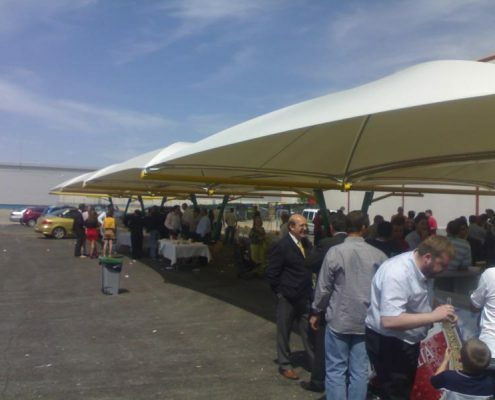 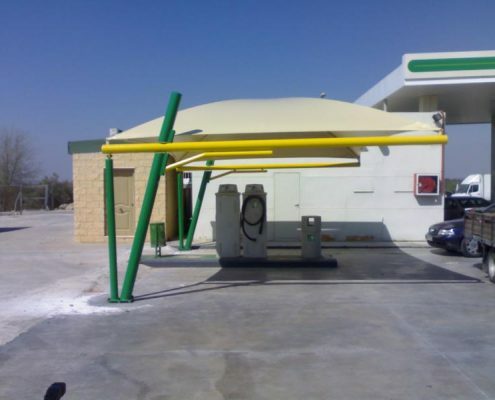 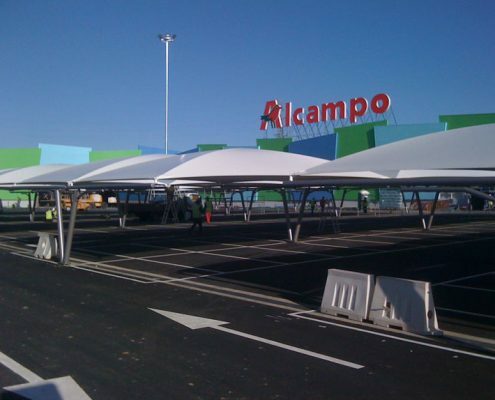 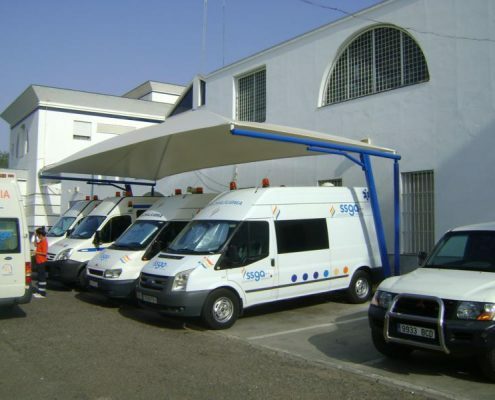 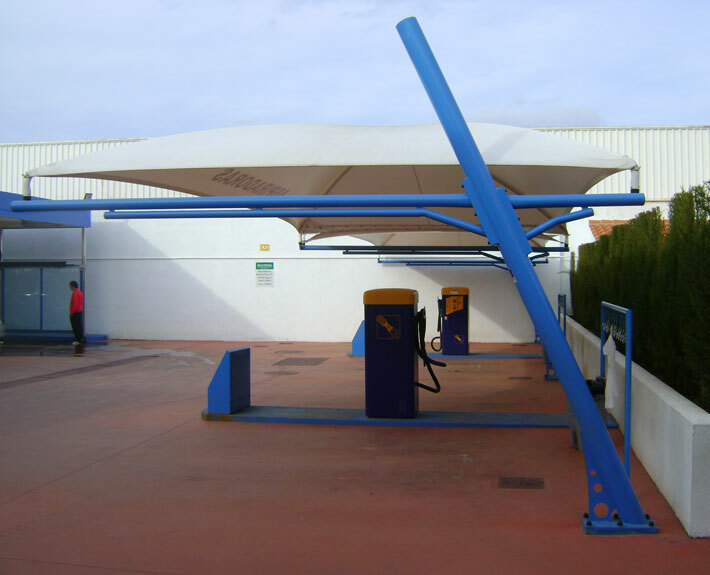 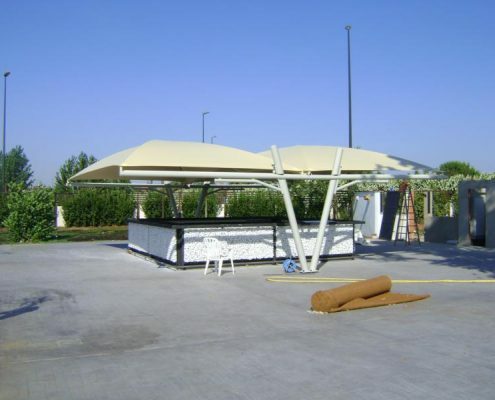 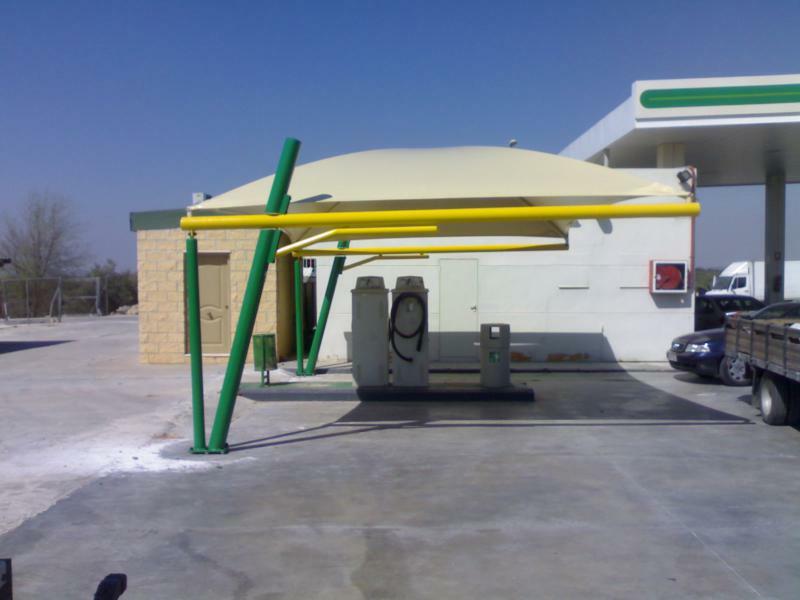 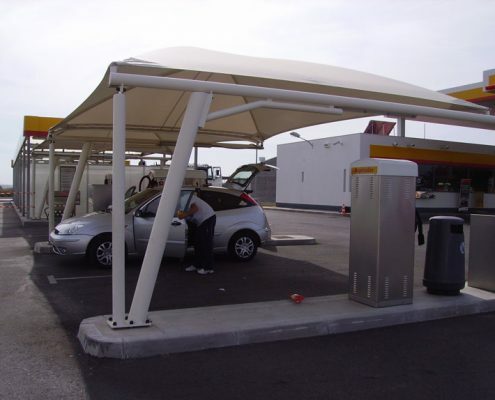 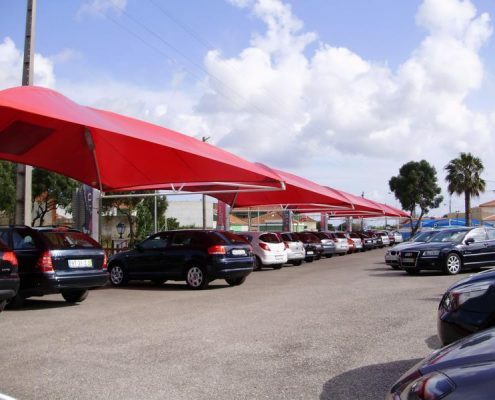 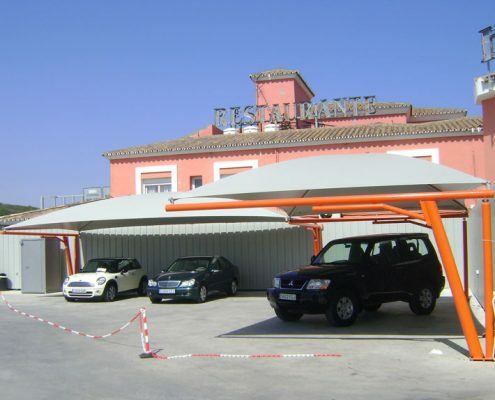 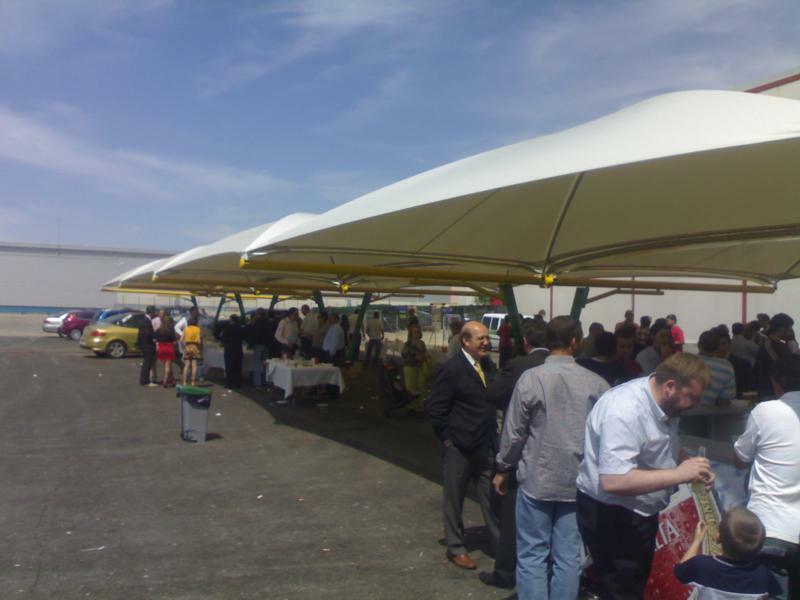 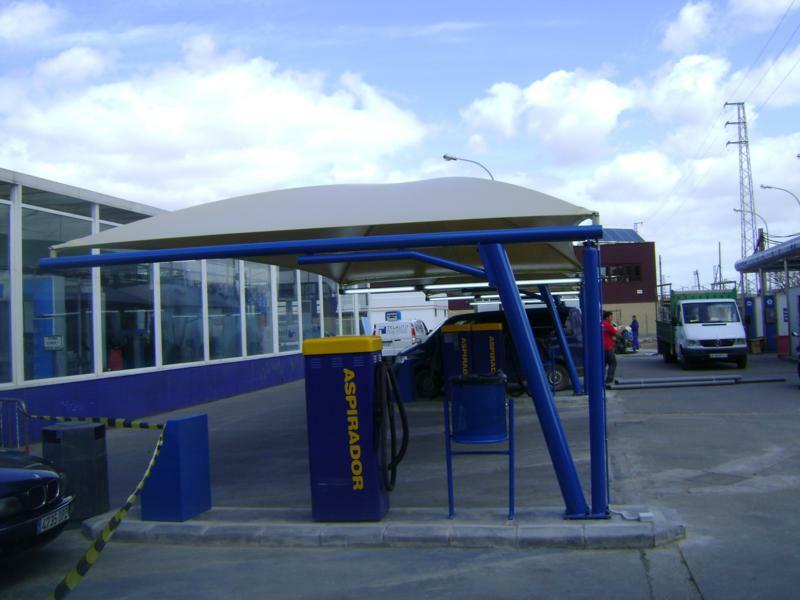 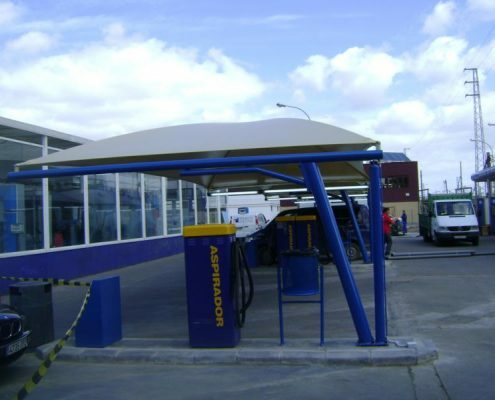 We also provide further applications beyond the typical canopies for car parking like petrol stations, terraces, seating areas, cafés, etc..
We can export these structures being dismantled in marine containers or trucks to any country around the world.